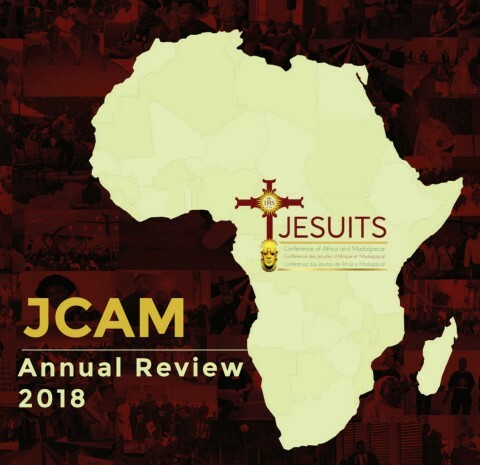 Father Arturo Sosa SJ, the Superior General of the Society of Jesus, will visit the Jesuit province of West Africa (AOC) from April 16 - 22, 2019. A visit that will lead him to two countries: Chad and Cameroon, which are among the 14 countries of AOC province (Benin, Burkina-Faso, Cameroon, Central African Republic, Congo Brazzaville, Côte d'Ivoire, Gabon, Guinea Conakry, Mali, Mauritania, Niger, Senegal, Chad, and Togo). Father Arturo Sosa’s visit to AOC follows that of his predecessor, Father Adolfo Nicolas in 2016. This is the first visit of the new General of the Society of Jesus to West Africa Province and it is awaited with great hope by the Jesuits of the largest province of the entire Society of Jesus in the world. The visit comes after the promulgation on February 19, of the four new Universal Apostolic Preferences (UAPs) of the Society for the next ten years. In anticipation of Father General’s visit, Fr. Hyacinth Loua SJ, the Provincial of the Jesuit Province of West Africa, recently gave some ideas for reflection to better understand these UAPs. His visit to Chad will bring comfort and support to the Jesuits and their collaborators who work in a predominantly Muslim nation. In Cameroon, Father Arturo SJ is expected to celebrate the Easter Triduum in a country that has been facing tensions since the elections in October 7, 2018, and security concerns for several years now. Pope Francis recently sent a letter in which he addressed "his prayers" and expressed his "concern that just and peaceful solutions to the crisis be found in the north-western and south-western regions of the country". We, warmly welcome Father General to the Jesuit West Africa Province.